Wearing vintage and making it look contemporary is all about the silhouette. The shapes we make with our clothes are important, balance is everything. 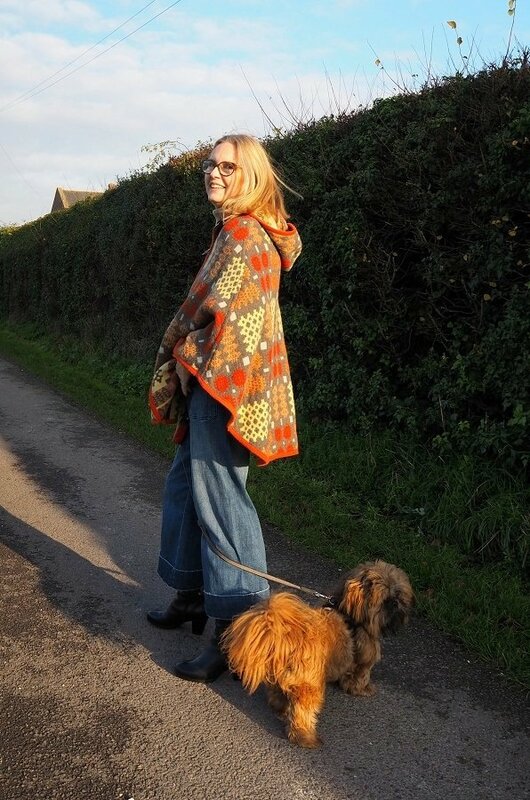 I saw some Capes in ‘And Other stories’ a few weeks ago and it reminded me to get out my vintage welsh blanket cape. If you follow me on Instagram you will know I have a soft spot for welsh blankets. We own two large ones, an orange/ beige and a pink/ purple, they are the warmest, heaviest, most beautiful blankets we own. Wearing vintage and making it look contemporary, is all about the silhouette. I have owned this beautiful vintage cape for about 6 years, I found it in a local charity shop and could not believe my eyes when I saw it hanging on the rail. 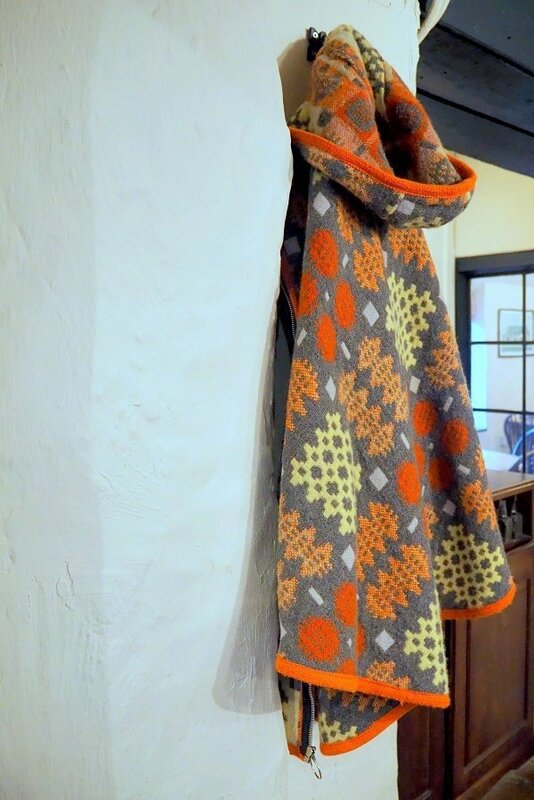 Welsh blanket are different on each side, the colours are reversed due to the weaving method. So If I changes the zip I could wear this as a reversible cape. This is known as the signature ‘Carthenni double weave’ A fascinating process used for household textiles, the end result is very much like a tapestry. 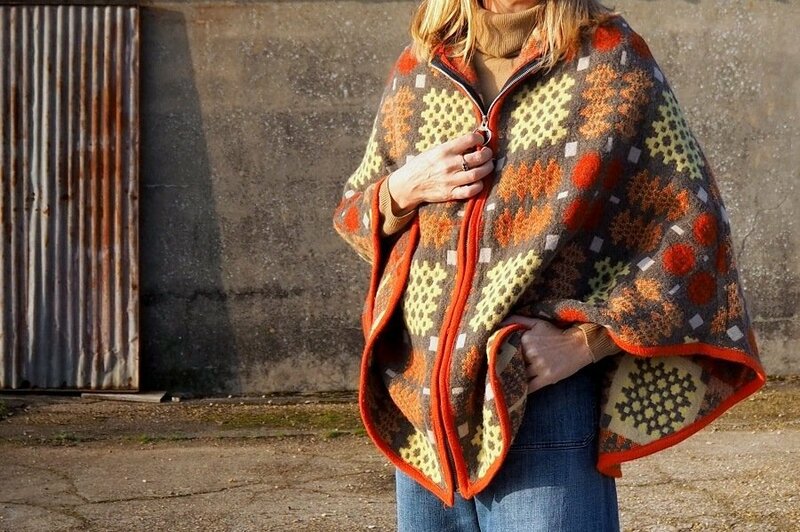 Because this cape is vintage the colours have a very 1970’s vibe whereas modern day blankets and capes have more subtle colour combinations. 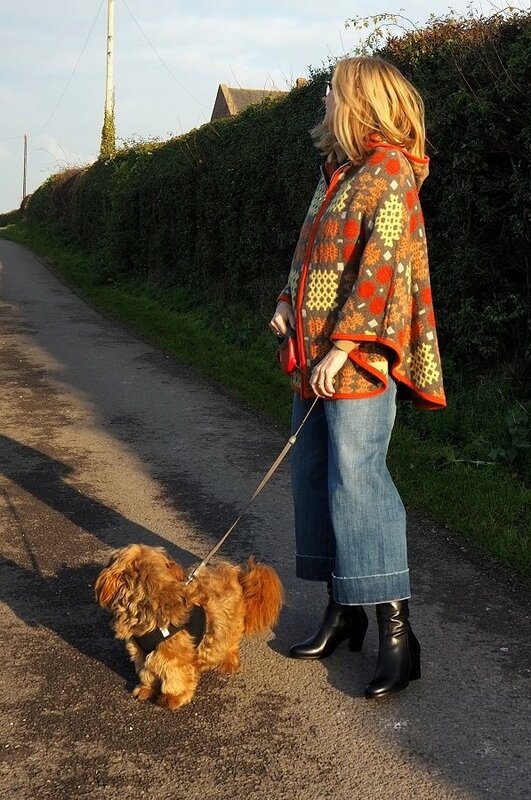 I have owned this beautiful vintage cape for about 6 years, I found it in a local charity shop and could not believe my eyes when I saw it hanging on the rail. Welsh wool blankets have traditionally been made in the same place since the 17th century. 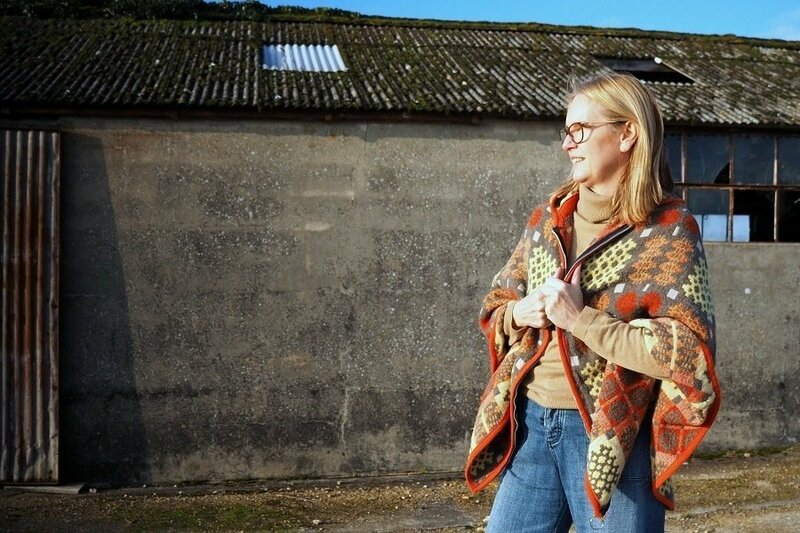 You can read more about the history of the blankets and the welsh mill – Melin Tregwynt (where they are still made) by clicking the link above. You can also visit the mill and see the process from beginning to end. 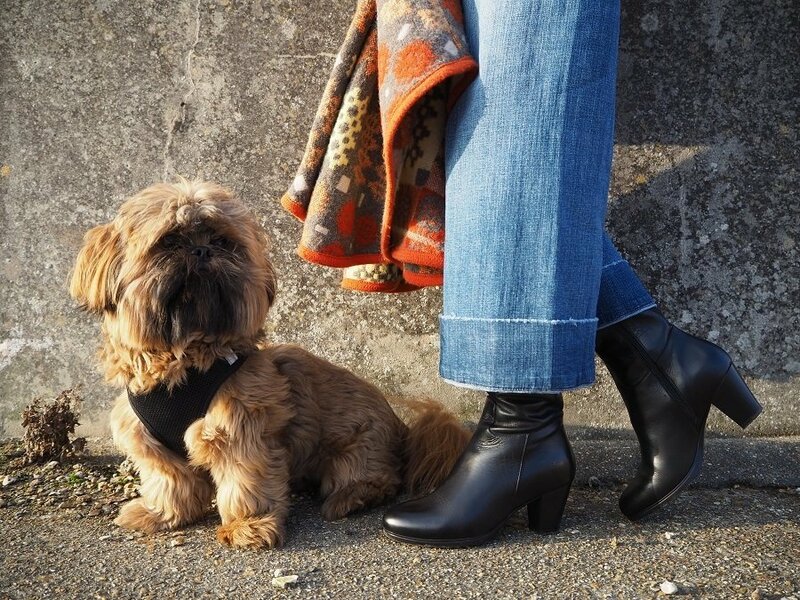 The black knee length boots I am wearing are by Pavers Shoes.They are leather, fit true to size and were comfy from the first day of wear. For less than £100 you can’t say fairer than that? In fact the first time I wore them was on trip to London, which in hindsight was a risky choice. I might have ended up with blisters, needless to say I did not. If my feet could talk I feel they would have congratulated me on my choice of footwear! 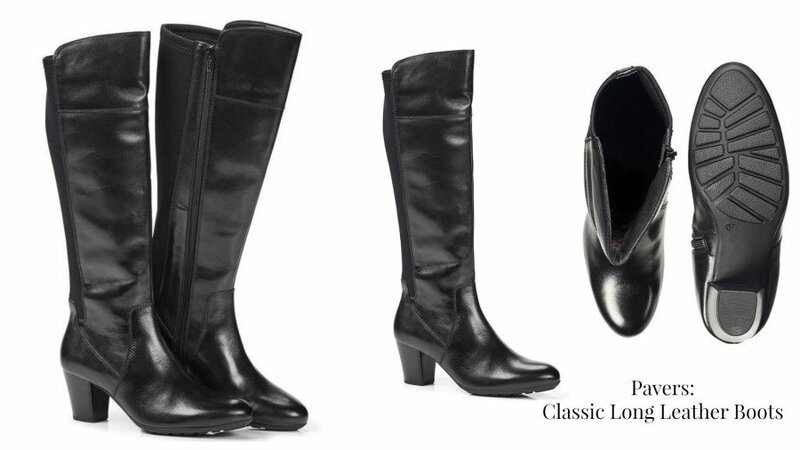 Pavers Shoes: Classic long leather boots Now at £69.99 ! A Marks and spencer blouse that is almost as old as me! A Horrockses Vintage dress goes to the Steam Fair. The boots were a Gift from Pavers. I was under no obligation to post this reveiw, but I like them a lot so I did! All my own words and opinions. Next Post Trying To Live A More Sustainable Life + A Giveaway. I love the coziness and retro vibe of that fun colorful Western-inspired coatigan. You look beautiful, put-together and warm! 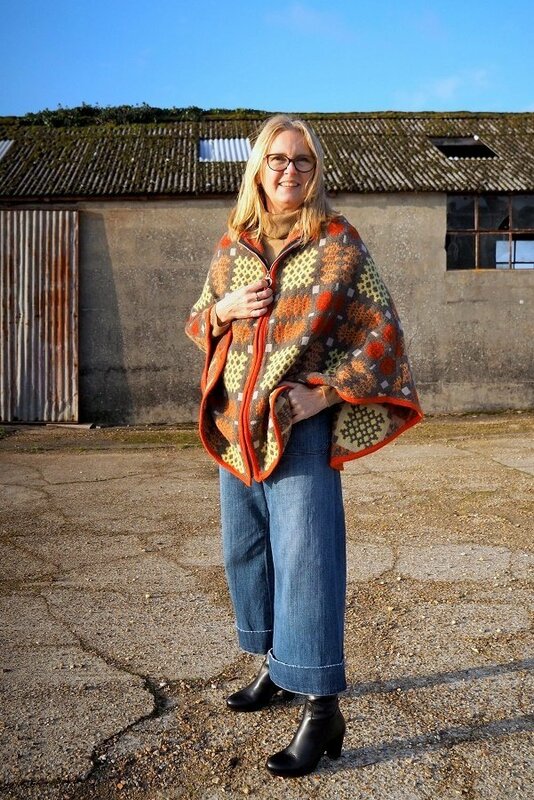 Thank you we call this a cape or a poncho in the uk, we call a coatigan a long cardigan. Thank you so pleased you like it, not everyone likes or appreciates vintage. My cape is sooo warm too. I love your cape. It’s amazing what you can find in a charity shop. I love browsing them. Fingers crossed for you in the Blog awards. I was happy to vote for you. Shirley thank you so much, your vote is very much appreciated! I too love a good pootle in a charity shop! Of course Ivoted for you! That is a beautiful cape! Nancy thank you so much!! I am going to need all the help I can get, glad you liked my cape, it is very warm! Ooh, this blanket cape is SO FUN!!! And this is a different dog! How many are there?? PS – I voted for you in the Blogger thing – good luck! Hi Bettye and thank you, I too love my cape. Well spotted I have two!